Canadian Yearly Meeting (CYM) is delighted to we lcome Cameron Fraser as its first CYM Secretary. Cameron is a member of Vancouver Island Monthly Meeting and lives in Victoria. His background is in education, counselling and organization design and development. 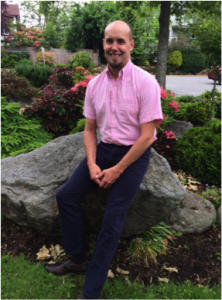 He has been working as the Principal at Pender Islands Elementary Secondary School in the BC Gulf Islands. Cameron has served on Quaker committees including Education and Outreach Committee (E&O) and Agenda Committee at last year’s Canadian Yearly Meeting-in-Session. The CYM Secretary is a pivotal role, responsible for supporting and enhancing the work of CYM Clerks, staff, and various committees. The Secretary will also work with Young Friends to develop appropriate resources and structure for youth engagement and outreach. Cameron will start work in this position on August 1, 2017. He will be based in Victoria but also travel to work from the Ottawa office on occasion. Cameron plans to attend Representative Meeting in June, representing E&O. For more details please see a welcome letter from the CYM Mentoring Clerk, or the CYM Secretary job description.